Valga-Uulu highway which is of national importance, runs through Tõrva It is important considering the development of transit trade. The altitudes are between 45.77-54.89 (altitudes in Baltic system). The nearest railroad is found in Valga. The nearest airport is located in Tartu, international airports are both in Tallinn and Riga. The harbours are in Pärnu, Riga and Tallinn. 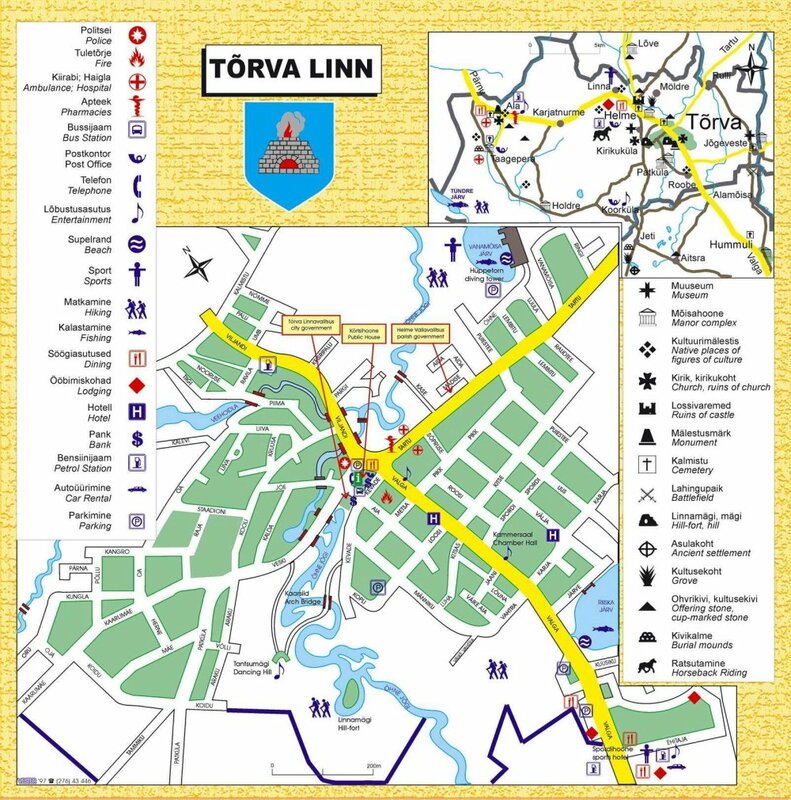 Tõrva town is the centre of the former Helme parish and present Helme rural district. It is also one of the three largest centres of county in addition to Valga and Otepää. Tõrva town is surrounded by Helme rural district, being its attractive part and servicing area. Circular Helme district, Põdrala in the north and Hummuli in the south together form historically established united region with the population of 8000 people. 30 km from Tõrva, Estonian-Latvian border is situated in Valga. There are four border posts and customs. Valga is also the final stop of the international (Latvian) railroad traffic. Tõrva has preconditions to develop into the town of health and holiday resort of inland because of the naturally beautiful location with numerous bodies of water, pine forests and healthy climate. Tõrva town is situated in the middle part of Valga county by the Õhne River, 30 km from the county centre Valga town surrounded by the landscape of Southern Estonia rich in change. Tõrva is located at the crossing point of three routes – Valga-Tartu-Pärnu (Viljandi), because of that it has a good connection/communication with other Estonian towns.